You’ll find a fistful of ideas for your Massachusetts vacations in this article, and discover how to get around and where to stay. From the open-air festivals in The Berkshires to the picturesque fishing and old whaling ports – discover Massachusetts vacations you’ll remember for the rest of your life. In the morning you can be pottering around the quaint red-brick cobbled streets on Beacon Hill in Boston, and by afternoon reliving the excitement of the voyage of The Mayflower, as you visit the city of Plymouth. Now it’s true… the main magnets for Massachusetts vacations are Boston, and Cape Cod and The Islands. But there’s another Massachusetts, away from the crowds, and every bit as entertaining as the popular vacation spots. This other Massachusetts is the rolling hills and rural farms with old stone walls and links to the booming textile age… long gone. 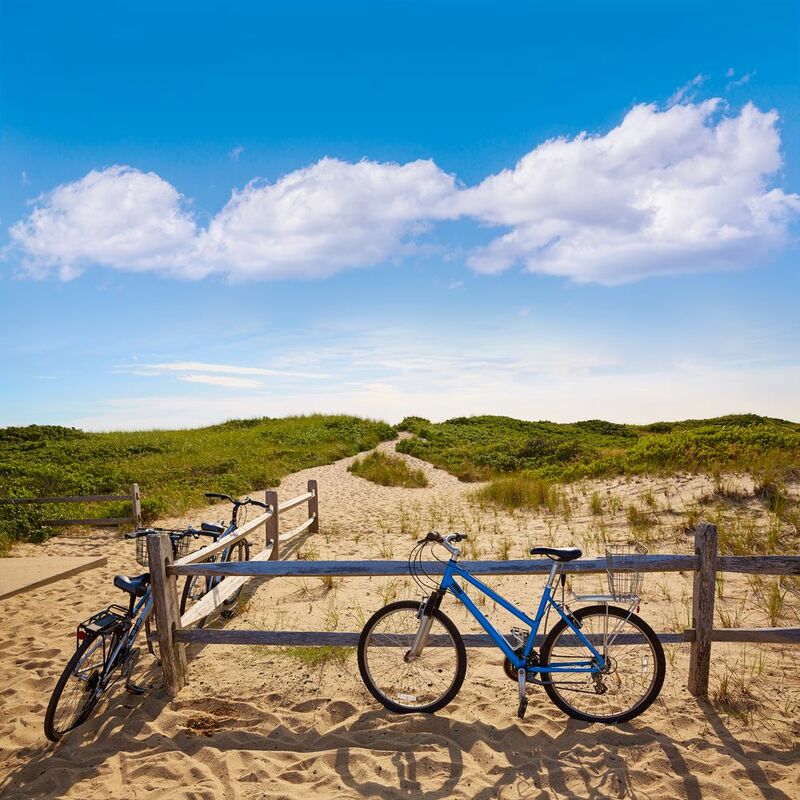 This is the Massachusetts of bustling college towns and dazzling scenic drives in the fall… of easy-going biking and hiking trails designed for fun and active Massachusetts vacations. Here in the rural areas you’ll find 350-year old towns, and reminders everywhere of the revolutionary war and the push for independence. A freedom that began here and shaped a nation. 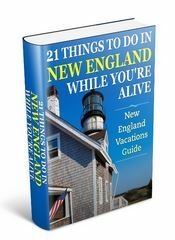 You’ll discover the exciting places that make Massachusetts vacations so memorable for millions of visitors each year. Like all the New England states, the Massachusetts landscape was primarily formed during the last million years of the Ice Age. The build up of ice got so big and heavy that it began to move under its own weight, and covered all of New England. As it moved, the ice cap picked up rocks of all shapes and sizes, and carried them along with its flow south. Farmers used the rocks to make stone walls, which can still be seen throughout the state even today, particularly in the more rural central areas near the Blackstone Valley. The truth is they had to get the rocks out of the fields anyway before they could plant anything. So they figured why not use them to mark the land. The glacial debris is the primary reason why agriculture and crop farming isn’t big in central and eastern Massachusetts. And you’ll see evidence of this tremendous geological force everywhere you go during your Massachusetts vacation. The glaciers visited the region multiple times during those million years, finally leaving about 12,000 years ago. With the last glacial advance nature did her finest work, forming Cape Cod, Martha’s Vineyard, Nantucket, and the other islands. All great places for Massachusetts vacations. It also left the perfect sandy bog conditions for growing cranberries. The states biggest crop industry. And what would Thanksgiving dinner be without Massachusetts cranberries? Most Massachusetts residents split the state into four distinct areas: Eastern Massachusetts, Central Massachusetts, Western Massachusetts, and Cape Cod and the Islands. Of the 14 million people that call New England home, nearly one-half – about 6 million – live in Massachusetts. Boston is the largest city in New England and the most popular for Massachusetts vacations. 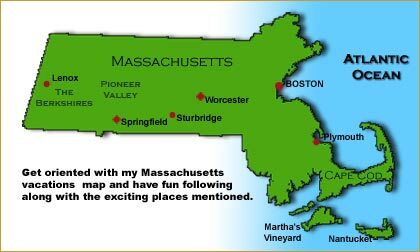 But the state also has the large cities of Worcester, in central Massachusetts, and Springfield, out in the western part of the state. The fact is, compared with Boston neither is a magnet for vacationers, but in the case of Springfield it does offer a Massachusetts vacations base for the surrounding western area – more on that later. But all these cities share Boston’s tasteful blend of old historical buildings and modern architectural styles. The old is omnipresent, but embracing of the new and modern ideas. 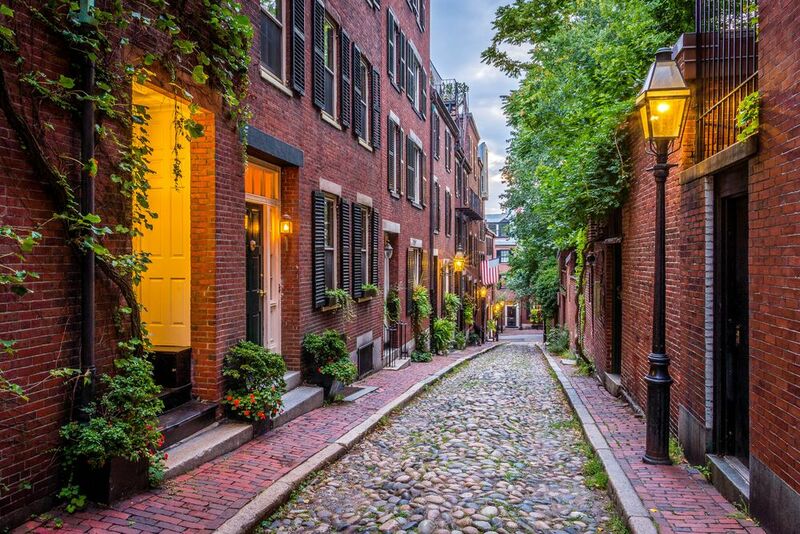 … be strolling around quiet Beacon Hill on cobbled streets, among gas lamps and perfectly preserved 19th century alleys and homes. Boston is a very family friendly city. It’s small and easy to walk around – in fact walking is the best way of getting around Boston. … well wait a minute… I can’t cover it all here right now… there’s just too much exciting stuff. But Boston is one of my favorite cities in the world. And as I worked there for nearly 18-years… I know it very well. I’ve got a lot I want to share with you about this beautiful city that’ll ensure you have a cracker of a Massachusetts vacation there. So whenever you want to discover more, you can visit my Boston Vacations page. To the south of Boston and about an hour’s drive in moderate traffic is one of the most amazing areas on this planet – called Cape Cod! … we also had our second child on the way. But the truth is… we hated to leave our beloved Cape. And each time we visit the Cape… guess what? We still hate to leave. Famous for its white sandy beaches, dunes, lighthouses, and vacation homes… it attracts millions of visitors each year – a good portion of them from other New England states, the New York region, and Canada. The islands people refer to are Martha’s Vineyard and Nantucket, and the Elizabeth Island group. Martha’s Vineyard is a 45-minute ferry ride from Woods Hole… Nantucket takes just over two hours. The Cape is a geological wonder, and full of hidden gems just waiting for you to explore and discover. For three months of the year residents on the Cape put up with a population explosion that approaches nearly 4 million visitors. These visitors are ture lovers of the captivating Cape. …and of course yummy ice cream wonders! Sorry just had to get my favorite Massachusetts vacations pastime in there somewhere. And that’s just a sample. 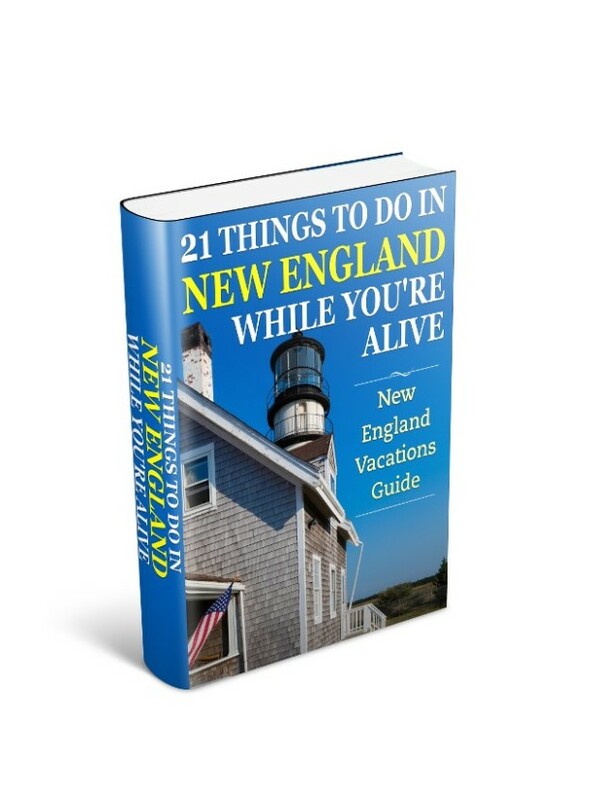 But like Boston I’ve got a boatload of stuff to share with you, and not enough space here to help you get the most out of your Cape Cod Massachusetts vacations. So for a whole bunch more of must do things and information visit my special Cape Cod & Islands page. Two very special places have been preserved to stir your imagination as you’re whisked back in time to experience life in the early days of the nation. Warning: These places lovingly recreate authentic experiences for you… so don’t expect them to understand computers or iPods! These are unique and neat places to visit on your Massachusetts vacations. My kids and us always have a blast when we visit them. There’s a just a great mix of history, education, and fun. The first of these areas is in Plymouth, on the south shore area of Eastern Massachusetts. It’s called Plimoth Plantation. And the other is in Sturbridge Village, in Central Massachusetts. Both places are worth a visit… but for different reasons as you’re about to find out. Plimoth Plantation will take you back to the days when the puritans lived in harmony with the local native Indians. You’ll get a sense of the simple – yet sometimes harsh – existence that greeted these folks. 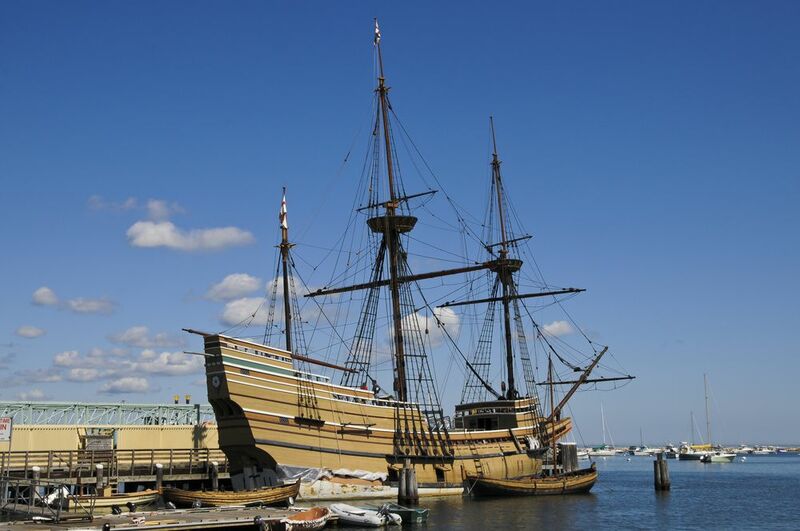 Save enough time to visit the town of Plymouth, and tour the replica of the Mayflower. You’ll appreciate what the journey across the Atlantic must have been like for these pilgrims. Plymouth Rock is close by to the ship, and identified as the actual landing spot for the settlers arriving to the New World. It’s generally accepted now, that the first place they landed was on Cape Cod, but after surveying the landscape decided to keep looking. 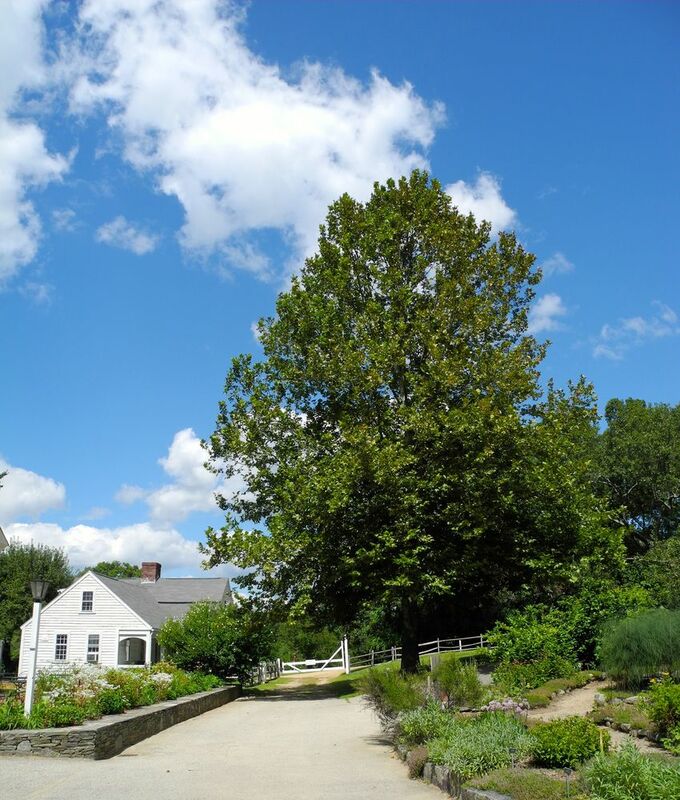 For more information on these historical attractions for your Massachusetts vacations visit my Plimoth Plantation page. Sturbridge Village is different than Plimoth Plantation. It relects another era. A more sophisticated and commerce-driven one. Many of the buildings are transplanted from other parts of New England. The village has a schoolhouse, bank, stores, and country gentry’s homes. Farming and agriculture is still in evidence everywhere but distinct from Plimoth Plantation. The town of Sturbridge is a delight for the shopper in you. The main street is full of candle and antique stores, and tons of places to get knick-knacks. Allow a few hours to cruise up and down the sidewalks and venture in to the stores that tickle your fancy. You’re bound to find something to distract you, and something to take home. For more information and to visit my special Old Sturbridge Village page. It’s a wondrous sight that happens every year. Hundreds of Whales return to New England shores, and offer Massachusetts vacationers an amazing show. While the sightings can be a little unpredictable, most of the tour companies guarantee you’ll see a Whale, otherwise you get to go again – free. The bulk of the Whale Watching takes place off the coast of Massachusetts, because that’s where the major feeding grounds are found. Popular places to leave from are: Provincetown, Boston, Newburyport, and Gloucester. Most of them head out to the feeding grounds near Stellwagen Bank. Be sure to pack your camera, and take some sea-sickness pills if you need them. These boats are going out in open water and… well, you get the picture. If you’d like more information on what you’ll see then check out my special whale watching page. Massachusetts is not a huge state. Its length is 190 miles, so you can drive from Boston to the Pioneer Valley and The Berkshires in about three hours during your Massachusetts vacations. The Pioneer Valley is an area of the Connecticut River Valley from the city of Springfield to southern Vermont. Delightful college towns like Amherst… and country villages among rural areas of tobacco, hay, and fields of corn, like Deerfield, Hatfield, Northampton, and South Hadley…. The Mount Holyoke Range state park. A collection of mountains formed when lava flowed from the valley floor. The area abounds in great places to hike, horseback ride, and picnic as part of your Massachusetts vacations. Heading out of the Pioneer Valley on Route 2 will take you into The Berkshires. The only substantial range of mountains left in Massachusetts after the glaciers did their work. You’ll meander eventually into the Mohawk Trail. This is an area of Route 2 that mirrors an old trail used by the native Indians to get from New York State to the Pioneer valley. It offers some of the most spectacular scenic views in western Massachusetts… and during the fall, arguably the finest in all of Massachusetts. The trail passes through the towns of Shelburne, Charlemont, and Florida, before heading out to North Adams, and the highest point in Massachusetts – Mount Greylock. In the area south of Route 2 is the town of Lenox – the summer home of the Boston Symphony Orchestra – Sunday concerts takes place here on the Tanglewood estate. It’s a sheer delight, and a great change of pace for your Massachusetts vacation. People take blankets and a picnic, and set themselves up on the lawn areas and relax for 2 or 3 hours listening to beautiful music. They hold other concerts during the season as well. I took one of my sons to see a Raffi concert many years ago. He’s into other music now but still remembers the trip. Whatever the music, it is just one of the most beautiful music listening settings on the whole east coast of America. Check out my special Berkshires vacation page for a lot more suggestions of things to see and do in Western Massachusetts. If you’re a family taking a Massachusetts Vacation and are interested in saving money while visiting all the top tours and attractions in the area, then you owe it to yourself to check out the Go Boston Card. Massachusetts has a rich network of interstates and highways to get you around quickly. Yes it’s true, driving around on Massachusetts vacations, particularly the Boston area is a challenge. And during the summer, getting over the bridges to Cape Cod on a Friday evening, is about as much fun as having a root canal. But just think about what you’ll do when you get there! Let’s face it… the eastern part of Massachusetts is congested, and so get use to sitting in traffic if you use the major routes. Be prepared to experiment and get off the beaten path, and you’ll find not only less stress on your driving, but you’ll discover, and get to know, the hidden Massachusetts. Whether you prefer to snuggle up to sleep in a cozy inn or bed and breakfast… or prefer the sophisticated grandeur of a Boston classic hotel, or are just looking for an inexpensive motel room for your Massachusetts vacations… then the state has it all. You’ll find the better deals outside the Boston area, but that doesn’t mean that the quality suffers… or that some resort areas are cheap. Resorts on Cape Cod in the summer months and fall season can demand as much as any Boston Hotel on a per night basis. The fact is accommodation and lodging in Massachusetts is as varied as the pebbles on a beach after a storm.